ColorScape Stair Treads with our superior rubber formulation, thermoset vulcanized rubber (type ts), offers a slip-resistant surface, while preserving design from scuffing, gouging, and abrasions. A vinyl alternative product, our rubber's natural luster requires no waxing or stripping and coordinates with our rubber tile. Available in our 25 Sync Color Coordination System which spans the entire premium flooring line of rubber tile, stair treads, wall base, and finishing accessories. Select from classic round or simply square or sculptured texture profiles. ColorScape Stair Treads with our superior rubber formulation, thermoset vulcanized rubber (type ts), offers a slip-resistant surface, while preserving design from scuffing, gouging, and abrasions. A vinyl alternative product, our rubber's natural luster requires no waxing or stripping and coordinates with our rubber tile. 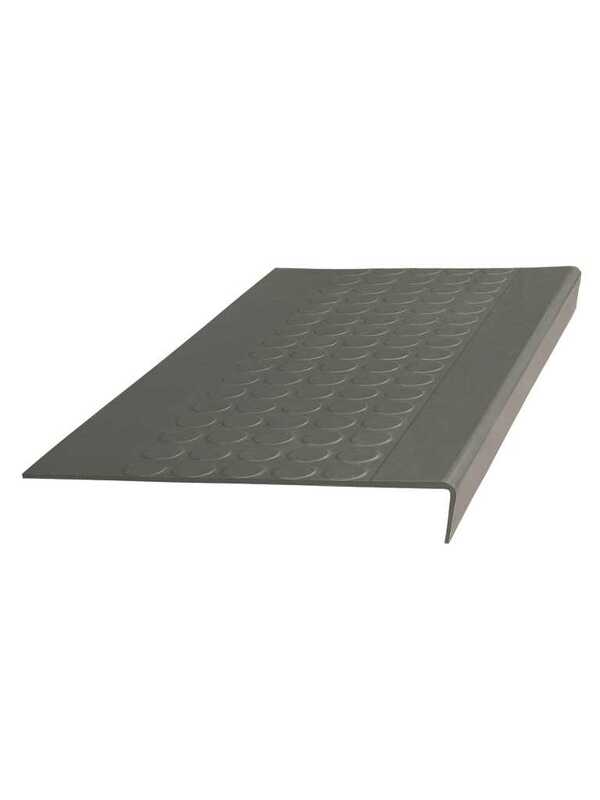 Available in our 25 Sync Color Coordination System which spans the entire premium flooring line of rubber tile, stair treads, wall base, and finishing accessories.Select from classic round or simply square or sculptured texture profiles.